Lady Helen and the Dark Days Club (Angus & Robertson, 2016), the first volume in a new series by Alison Goodman, is due for publication next year*, but the author kindly threw a launch party in time for Christmas. For those eager for her next work following the New York Times best-sellers Eon and Eona, it was a fine present indeed. Having covered science fiction, crime (with a slight SFnal twist) and fantasy with equal aplomb in previous works, Goodman now turns to the paranormal with her Dark Days Club. There is perhaps slightly more explanatory text here – summaries of events, an almost telepathy to show the meaning behind the body language – than I remember from previous outings, but the story, more than 400 pages of it, speeds by at an easy pace, driven by the spark of quick-witted Lady Heroine and the deepening dilemmas in which she finds herself. How clever to set it in the Regency, for this story is all about veneer and the monsters behind the facade, duty and passion, control and denial. The painting of this period of English history is sensationally wrought, the minutiae of daily life for the Quality (and their window on the lesser classes) effectively grounding the world without dominating it, referencing historical events, people and places, then braiding in the supernatural story. Lady Helen, our titular heroine, is 18, her parents lost under despairing circumstances, the ward of her uncle and aunt who are devoted to her social climb, that is, marriage. She has some of her mother’s infamous adventurous streak, however, sneaking into the library to read books, so very unladylike. Of course, she has more than that in common with her mother, and soon her fabulous nature as a potential member of the mysterious Dark Days Club is uncovered. The tension between her attraction to adventure, both romantic and physical, and the pressure to conform to social propriety is deft, perhaps best mirrored in the two suitors for her attention, if not affection, in a socially respectable duke and a lord of some infamy. This presents the most obvious theme of the story, that “sometimes there is no good choice”. And Lady Helen has some serious choices to make as a demonic world is revealed to her, that and her special place in the fight to contain it. Dark days indeed! I’m particularly taken with the humour of sidekick and maid Darby, who had me chuckling with an almost Pink Panther scene in which she tests her mistress’s reflexes with thrown objects. Another element I especially appreciate is the slow reveal, allowing us to know Helen and her Regency world, the privilege and the constraints, as mysteries are bled into the opening chapters and then revealed in line with her growing understanding of the secret war of the Dark Days Club. This is a world where every choice, every benefit, comes at a cost, and it is this grim reality that helps makes Lady Helen’s story such an enjoyable read. * addendum: December 14 in Australia, January 16 UK and January 26 US. 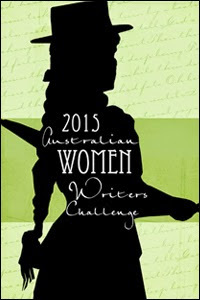 This review completes my four-book commitment to the 2015 Australian Women Writers Challenge. Others were Cherry Crow Children by Deborah Kalin, The Dagger’s Path by Glenda Larke, and The Dangerous Bride by Lee Kofman. Home again from the Continuum convention in Melbourne, at which there was much catching up, some learnin’ and some launchin’. Always good to reconnect with the clan, and very appreciative indeed of those who were able to make the launch for Blood and Dust and The Big Smoke — my Aussie vampire duology. So great to have them out in the world! The Big Smoke is based on the old European vampire lore, but given a new bright Australian slant. These vampires wear a permanent sun squint and a pair of sunglasses. 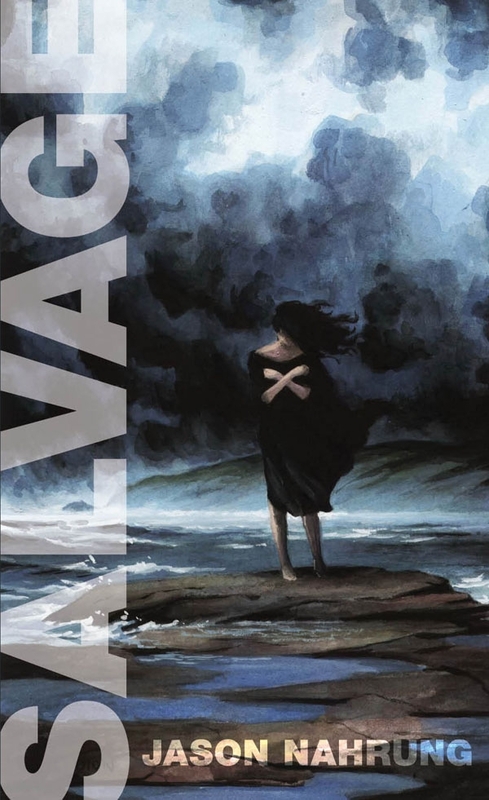 The book pulses with hot weather, hot blood and hot vengeance. We have launch date: Vampires in the Sunburnt Country to hit the road! Hot on the heels of the cover reveal, the full books are about to hit the shelves — yes, after more years than I care to think about, the story of Kevin Matheson, outback vampire, is about to be released in paperback. Two, in fact: Blood and Dust, and the follow-up The Big Smoke. How much trouble can a country boy get himself into when the vampires come a’knockin’? Plenty! Clan Destine Press are releasing the books in paperback and ebook, raising the curtain at 4pm on Sunday 7 June, as part of the Continuum speculative fiction spectacular in Melbourne. The wonderful Alison Goodman is doing the honour, cracking a bottle of something red across the tomes! Details are here at the Clan Destine site, where online orders will also be available. Hm. I may have to wear black for this! ALISON GOODMAN is the author of four novels including EON and EONA, a New York Times bestselling fantasy duology. She won the Aurealis award for Best Fantasy Novel (EON aka The Two Pearls of Wisdom) and for Best Young Adult novel (Singing the Dogstar Blues), and was the DJ O’Hearn Memorial Fellow at the University of Melbourne. 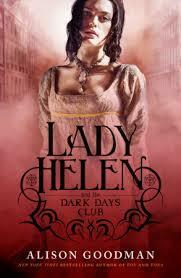 The first book in her new historical/supernatural series, Lady Helen and the Dark Days Club, is due out in January 2016. 1. Some might think that having a book release date set back is a lemon. How have you been making lemonade from the delay in Lady Helen’s debut from this year to early 2016? Lemonade from lemons, huh? Well, on that note I can’t be too sour about the set back of the first release date since it is mainly for my benefit. My new series is a historical/supernatural trilogy set in the Regency and my publishers want to release a book a year to maintain the series momentum. That doesn’t quite fit with my writing speed – it takes me about 18 months to write a novel that I am happy to have out in the world – so we have decided to ‘front-load’ the books. That is, when Book 1 is published in January 2016, Book 2 will already be finished, and I will have started Book 3. That way, we can release a Lady Helen book each year and I can write at my best pace and not implode from deadline stress. Admittedly it is a very long wait for the first book to come out – it is already written and edited – but in the end, I think the delay will work in favour of the series. Not only does it enable me to keep to that preferred one book a year momentum, but the longer lead time has already been worked into the marketing plans of my various publishers. 2. As part of your Lady Helen research, you’ve been embracing the Austen aesthetic: so how do you balance a modern sensibility with that older sense? It is a fascinating process. While I want to maintain a modern sensibility for my modern readers, I also want to create a world that feels authentic. I also want my main character, Lady Helen, to be a woman of her time, but still maintain the empathy and identification of today’s reader. It is why I have chosen to write the novels in third person point of view: there is more narrative room to make subtle comment on the world. I am also trying to keep to the worldview of that time as much as possible and not overlay 21st century concepts on to my early 19th century characters. Interestingly, however, the western world had just gone through the Enlightenment, which more or less was the foundation of modern sensibility, particularly the ideas of individualism (the importance of the individual and his/her inborn rights) and relativism (the idea that different beliefs, cultures and ideas have equal merit). That gives me a bit of wriggle room in regards to the characters’ perspectives on self and environment. In terms of the style of the novel, I have developed a subtle syntax to give that early 19th century cadence, but always with an eye to the books being an accessible and fun read. I’m also enjoying the language, which adds a lot of flavour. I get to use words like sapskull and fustian, and my favourite, Gadzooks! 3. Your stories consistently show superb plotting – things happen when they need to happen, and are never inexplicable. To what detail do you design your narratives, and what advice do you have for plotters? Thank you – I spend a lot of time thinking about the design of a story and try to make the events feel inevitable but also, at the same time, surprising. Before I start writing, I ask myself a number of questions: what starts the action of the story, where to place it, what is the mid-point, how does that lead into the climax, what is the action around the big climactic decision? I ask these questions (and many more) all through the planning stage, through the research stage, and then all through the writing stage. They are not static; throughout the creation of the novel there is a constant dialogue between the plot that I want to build and the characters that I have created. Plot and character inform each other, so while I do plan my plot before I start writing, I also accept that it is an organic process and my careful planning will inevitably shift and bend around character psychology. My best bit of advice to plotters is to really think through your character motivations: make them as strong and as logical as possible, in terms of each character’s psychology. Take the time to trace back why your characters have made those particular decisions, and if any of the decisions don’t make sense or are weak, then look that weakness square in the eye and ask yourself: is this character making this decision only because the author needs that plot point? If the answer is yes, then don’t let yourself off the hook. Return to the drawing board: either you need to create a character whose motivations and decisions will fulfill that particular plot point in a satisfying way, or adjust the plot point to fit the character you have already created. I was fortunate enough to be given preview copies of Garth Nix’s new novel Clariel, and Trudi Canavan’s Thief’s Magic. They are both cracker reads. The recent changes haven’t really affected the way that I work, but they’ve certainly affected the way that I publish and think about my career. The rise of the e-book has given authors a way to revive backlists and return-of-rights books, as well as bypass traditional publishing models for new work. I e-published my crime novel A New Kind of Death (traditionally published in the US as Killing The Rabbit) alongside a print edition from Clan Destine Press, and I am investigating the idea of collecting my short stories into an e-anthology. I would never have been thinking along those lines five years ago. Five years from now, I will have just finished writing and trad-publishing the Lady Helen novels and either be thinking about the next three Lady Helen novels in the series, or starting another project. I have a feeling I will also be working on some shorter works to go straight into e-format. I really like the idea of following up a novel (or a series) with shorter adjunct pieces set in the same world. There are often so many possible paths in a series that you have to resist if you want to maintain the narrative drive, but it would be great to be able to play-out those little gems in shorter works and publish them in e-format. ALISON Goodman has been writing and being published for almost 24 years. She began to get published in her second year of university – mainly feature articles and short stories – and her first novel came out in 1998: Singing the Dogstar Blues, a young adult science fiction thriller. It won the Aurealis Award for Best YA novel and was an ALA Best YA book. That was followed by her crime thriller, Killing the Rabbit, published originally in the USA, and which is now about to be re-released in print in Australia and as an e-book under the new title, A New Kind of Death. 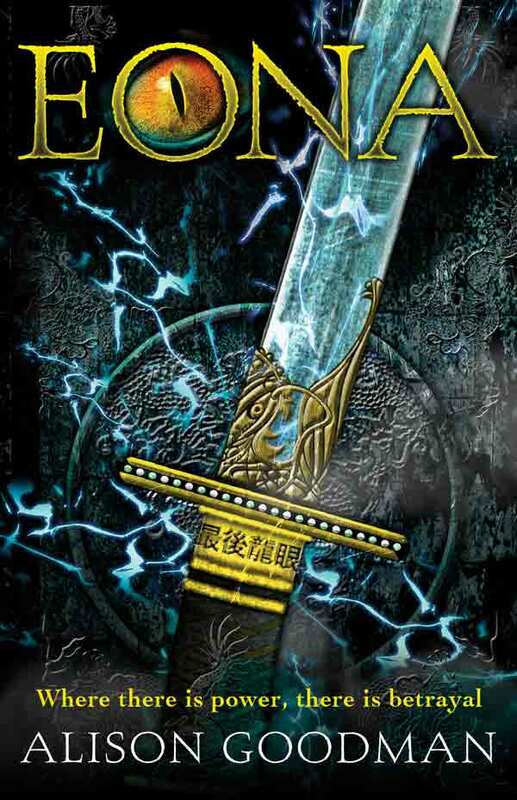 Her latest two books are the fantasy duology Eon and Eona, which were New York Time Bestsellers and have been published in more than 18 countries and 10 languages. Eon (under its initial Australian title The Two Pearls of Wisdom) won the 2008 Aurealis Award for Best Fantasy Novel and was also an ALA Best YA book and a James Tiptree Jr Honour Book. This year, Alison has been contracted to write a new historical/supernatural series with publishers in the USA, Canada and Australia. The first book is due out in 2014. Keep in touch with developments at www.alisongoodman.com.au and her Facebook page. Alison is guest of honour at Continuum, starting TOMORROW NIGHT at Rydges on Swanston in Melbourne. YA SF, crime, Chinese-influenced fantasy … have you picked stories to best address certain themes, or are you just having a grand old time in all the diversity genre has to offer? I suspect a bit of both. In terms of genre, I go where the story takes me. When I have the initial idea for a book or series, I take note of where it seems to fit in the genre market and think about the conventions of that genre. If some of them work for me, I’ll use them (either with or against the expectations). However, I don’t feel obliged to stick faithfully to the conventions or, indeed, to one genre. I do like to meld genres, which can bring a whole bucket load of problems with it but is a lot of fun to write. In terms of themes within a novel, I usually find that I may start with an idea of a thematic line – developed from the plot and character – but find that other, stronger themes emerge as I write. Having said that, the thematic starting point is not usually the driving force for me in my writing process – I am more engaged by character and plot and these supply the passion that propel me. So, I don’t feel that I pick stories to write by the appeal of their themes. Still, it is not really possible to separate out those three elements – plot, character, and theme. They are so deeply entwined in the development of my fiction that at least some of each needs to be in place before I start writing. Romantic plotlines, of varying degrees, operate under some level of mostly social pressure duress in your books, and happy endings are not guaranteed. In what ways is love, whether unrequited, doomed or conquering all, important to your storytelling? I think it is more that desire is important to my storytelling, rather than love. That often includes the desire for love, but I think that is secondary to the desire for the ultimate goal of the main character, be it power as in the Eon duology or truth in A New Kind of Death (Clan Destine Press). Love is not the main goal of my characters, but it is almost always part of their motivation. How characters go about loving or seeking love is a fundamental building block of my characterisation. It is not the driving force of the main plot-line – that is the domain of romance fiction – but it is one of the elements that adds depth and universality to the characters, and provides sub-plots that support and add duress to the events in the main plot. You’re in the midst of a research trip to Europe for your new series. Has anything you’ve unearthed been wonderfully surprising, the kind of thing where you just HAVE to use it in the books? Yes, I came across a porcelain women’s urinal shaped like a lady’s slipper. In time of necessity in a crowded royal drawing room, it was slipped under one’s huge hooped court dress and clutched between the thighs! That is definitely going into my novel. However, I’m always wary of bunging in a bit of research because I like it. For me, research has to be at the service of the story and the fastest way to become a bore is to write pages of research detail and go off-story. ‘..what gives fiction its vitality is not the accurate detail but the animate one … novelists are creators, not coroners, of the human case’. That really hit a chord with me. When I am researching, I look for those shining details that are going to give the flavour and energy of the time without weighing down my story…such as a urinal for women that is shaped like a shoe. This is where I shift uncomfortably and confess that I haven’t read much fiction lately because it has been all about researching my new series. My stack of fiction To-Be-Reads is huge, but I have just finished Garth Nix’s new book A Confusion of Princes which was magnificently inventive with a great, wry narrator and a lot of satisfying action. I’m also reading an advance copy of Kirstyn McDermott’s new novel Perfections, which is heart-achingly gorgeous. Mostly, though, I have been reading primary and secondary source research books, which sounds dry but is actually a lot of fun. And, as it happens, one of the most valuable research books I’ve come across so far has been by an Australian – Jennifer Kloester – who has written an excellent guide to the Regency era in Georgette Heyer’s Regency World. What have been some of the biggest changes in Australian speculative fiction in the past two years since Aussiecon 4? I think some of the biggest changes in Australian speculative fiction are the same changes that have been hitting all of publishing. What immediately comes to mind is the rise of the e-book and the crisis of the bookshop. The gathering force of the e-book is offering some great opportunities for authors – more control over backlists and a greater cut of the royalties – but as with all these new modes, it also brings challenges that often leave many behind. The demise of so many of our bookshops breaks my heart, and I sincerely hope that Australia does not follow in the footsteps of Britain and starts closing libraries too. Another change that I think has particularly affected the speculative fiction market is the ‘phenomenon book’ such as Harry Potter, Twilight and The Hunger Games series. They can all be gathered under the banner of the speculative genre and, I think, have opened up new audiences to our work, and in fact, to the idea of reading for pleasure. AFTER many years in Melbourne, Sydney-born Russell Blackford has returned to Newcastle with wife Jenny, where he grew up. He has a law degree from the University of Melbourne and a Ph.D in philosophy from Monash University and an Eng. Lit. Ph.D from Newcastle Uni. He’s now a conjoint lecturer in the School of Humanities and Social Science at the University of Newcastle. He’s a philosopher, a literary critic and sometimes a creative writer specialising in fantasy and science fiction. His books include a trilogy of novels for the Terminator franchise, collectively known as Terminator 2: The New John Connor Chronicles. He also wrote a thriller, Kong Reborn, which is modern-day sequel to the original 1933 King Kong movie, and the much-reprinted fantasy story, set at the time of Queen Zenobia of Palmyra, ‘The Sword of God’. He has also been active in the Australian science fiction community for well over 30 years, including ‘a fair bit of work’ in convention programming. His most recent books are 50 Voices of Disbelief: Why We are Atheists (Wiley-Blackwell, 2012), edited with Udo Schuklenk, and, just off the presses, Freedom of Religion and the Secular State (Wiley-Blackwell, 2012), which deals with many of the hot-button issues that arise when religion and politics meet. He’s currently working on two new books: 50 Great Myths About Atheism (Wiley-Blackwell, co-authored with Udo), and Humanity Enhanced (MIT Press). Russell’s also editor-in-chief of an online peer-reviewed journal, The Journal of Evolution and Technology, and a columnist with the magazine Free Inquiry. Russell is online at www.russellblackford.com, runs personal blog Metamagician and the Hellfire Club and blogs in a more philosophical way at Talking Philosophy. Has science fiction driven your academic interest in ethics and humanity, or has your interest in those areas steered you towards science fiction — is science fiction the ideal ‘text’ for talking about gods, identities and being ‘more human than human’? Really, I can’t make that kind of distinction. My interests in all these things are entangled and they date back to primary school. Also, I think there’s something more fundamental going on, which is my sense of the mutability of human cultures, something I’ve felt in my bones for as long as I can recall. I’ve always had a just-slightly-alienated, semi-anthropological attitude to my own society and its mores, folkways and default outlook. Perhaps my socialisation didn’t ‘take; in the way it was supposed to (actually, I suspect that this is true of many people who are involved in science fiction). In my essay, ‘Unbelievable!’, in 50 Voices of Disbelief, I talk a bit about this in relation to religion: at a very early age, I rejected the religious beliefs around me, largely on the basis that I saw Christianity as just the mythology of our time and place, something that would not seem plausible in, say, a couple of thousand years … any more than classical mythology seems plausible to us. As I describe in ‘Unbelievable!’, I did return to Christianity for a period in my teens, but once again it didn’t take. And just as well. My love of ancient cultures, and their mythologies, and my love of speculation about the future are of a piece with this, and so is my scepticism about a lot of moralising and traditional moral rules. I have certain core values that drive me -– political freedom, compassion for suffering, the life of reason -– but I also have this very strong resistance to what seem to me culture-bound and largely arbitrary restrictions on what humanity might become (hence the ‘more than human’ part of your question), and on how, in the here and now, individuals might flourish. Do you ever find it difficult balancing the academic mantle with the fan who just wants to say ‘Hulk, smash — hell yes’? Nah, that’s fine. I love adventure movies and comics, and always have. I’m very fond of many of the great characters that have become, by now, a kind of twenty-first-century syncretic mythology, albeit not one that any sane person believes literally. In particular, I loved the new Avengers movie –- until it got too long and (I thought) too lacking in tension and felt danger. I found much to love simply because of the movie’s interpretations of the characters. Hulk, Black Widow, Thor, Loki, Iron Man, etc, were portrayed in ways that kept bringing that choked-up feeling to me, with moments that were just so recognisable and ‘right’. None of that cuts across my work as a philosopher, but what probably would cut across it would be trying to write these characters, and create those character beats, myself. I’ve had some minor success with media tie-in work, and I thought I did a pretty good job with The Terminator in particular. I could probably write the main Avengers or X-Men characters -– I understand and love them as much as almost anyone. The problem is that creative writing demands (for me) a certain obsessive mind-set. If I were writing stories involving the Hulk, say, or, say, Doctor Doom, I’d be wandering around constantly imagining what it might be like to be inside the heads of those characters, thinking about how they would perceive, explain to themselves, and react to what’s going on. Hopefully this wouldn’t show through in my overt behaviour! But it would crowd out the level of obsession that I also need in order to do philosophy well. Enjoying what other people do with those characters is fine –- it’s all fun. In fact, it’s very pleasing to see the characters done properly. Damn it, Russell, when are you going to write cyberpunk again? That’s a hard one -– again, to do this well I’d need to be totally obsessed with it. That’s the big problem with me and creative writing, and why I don’t do as much as I’d ideally like. The cyberpunk style, or sub-genre, or whatever we call it, is a good fit for someone like me. I can feel the allure, as well as the obvious downsides, of the classic 1980s cyberpunk futures. It all fits in with my slightly alienated perspective on my own society and its various pretensions. Right now, though, I’m not sure when I’m likely to return to writing fiction. It will only be when I’m ready to give it that sort of obsessive involvement … and at the moment I’m obsessively involved with writing non-fiction books, which (for me) is a very different mind-set. I expect it will happen, though. I have a lot of stuff to get out of my system right now, but who knows what the future will bring? If I’ve learned one thing in my life, it’s that I’ve got to get whatever ideas are in my head out of there and onto the paper or the screen. There’s never any worry about the ideas drying up as long as I keep doing that. But what wants to get down onto the screen at the moment isn’t cyberpunk-style fiction. Alas. I tend to be behind with my reading of Australian science fiction and fantasy. Suffice to say that we have some exciting talents currently in the mix -– to name just one, a writer who has been exceptionally impressive of late has been Tansy Rayner Roberts. I doubt that it’s possible to draw conclusions about changes over a period of only two years. You need a longer timeline to see whether a trend is permanent or what impact a breakthrough might ultimately have. At the moment, one thing that strikes me is the very high quality work in fantasy and horror from a number of relatively new female writers -– Tansy Rayner Roberts again, Alison Goodman … the list would actually get rather long –- but this situation has been developing for some time now. Let’s say two decades. You see some other things when you step back. For example, one obvious change over the past few years, though perhaps not all that remarked upon within Australia, is the successful return to the sf genre of Damien Broderick, who has placed multiple stories in year’s best anthologies of late. Good things keep happening.